Paths and Passages. City Daily Photo Theme day. This is my entry for the City daily photo monthly theme day. Click here to view thumbnails for all participants there’s some really love places that have been photographed and I am sure you will enjoy them! Photo taken at Yatton Park looking down towards the Salt marsh track. 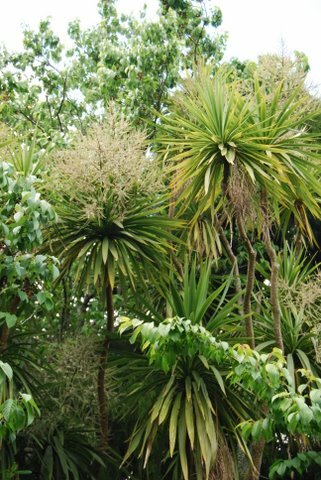 These Cabbage trees are common all over NZ although they seem to enjoy the realitvely warm climate of this area. The above photo shows the crazy looking flower it’s sprouts at this time of year and the photo below shows the orignal it was cropped from. 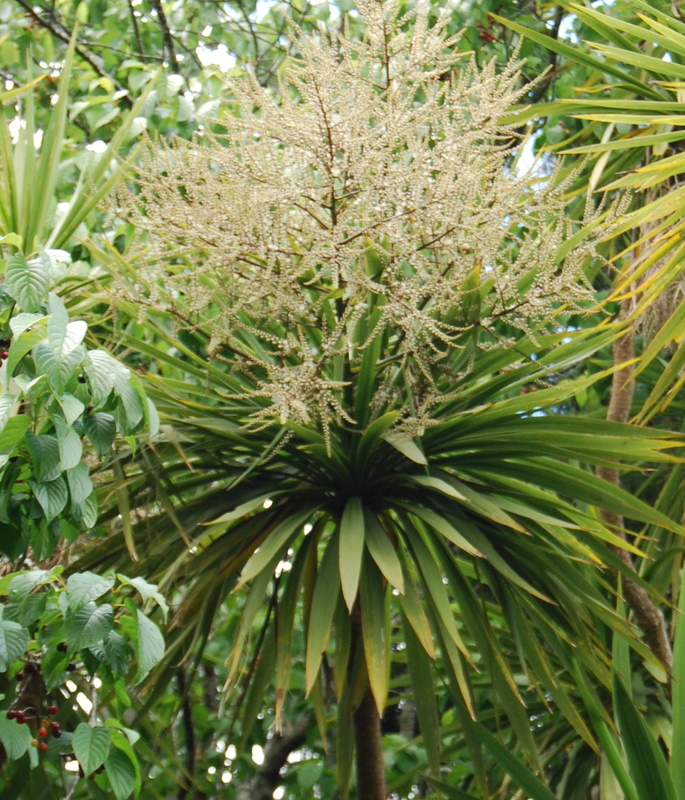 Kereru (NZ Woodpigeons) love the cabbage tree’s fruit. 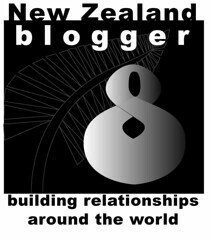 I found this on this blog on the internet which has some lovely photos of a Kereru having a great feed!